The Services Analyst Firm Awards are out! The users of analysts’ services in the services industries are a little different from the others. Research and advisory days are, by far, the key services according to the Analyst Value Survey but reprints, events and peer community are not so important. 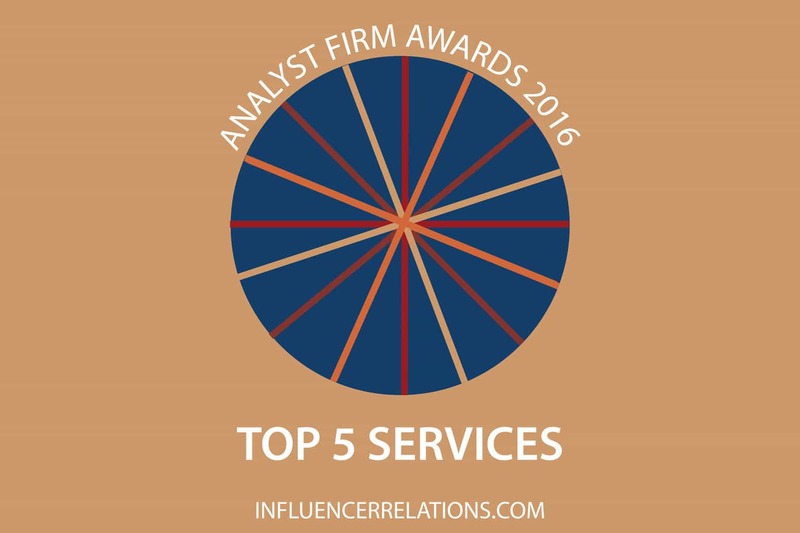 The top six firms are the same as last year, and even in the same order. Gartner has a giant lead in its events business and its impact on purchasing recommendations, but it needs to watch out for value of its research and data. HfS Research has not Uber-ized the analyst industry because it’s not capturing most of the value it’s creating for the industry. Its peer networking and events business are impressive and its research is gaining a wide audience. Forrester Research is still the leader for peer communities and its reprints are widely valued. However, it needs to strengthen its event business. NelsonHall remains the little engine that could: It is well rated for its research and inquiry calls, pushing it ahead of IDC, but events remain its weakness. IDC is even more highly rated for research than NelsonHall but its limited peer networking and inquiry services keep it in fifth place. Everest Group has a very different profile from the top five firms. It is highly rated for its reprint rights and its ability to develop business leads. ISG has climbed one place, pushing DCG down into a still-impressive eight place. As with Everest, it’s the firm’s ability to deliver business leads that is most respected. Digital Clarity Group, on the other hand, looks more like a typical analyst firm. DCG is most highly rated for its influential purchasing recommendations. Pierre Audoin Consultants has pushed into the top ten this year with a very high rating for its impact on purchasing recommendations. TechMarketView beat Alsbridge for tenth place because of its strong peer networking and research insight.